Brody Murphy (far right) pictured with fellow nominees. 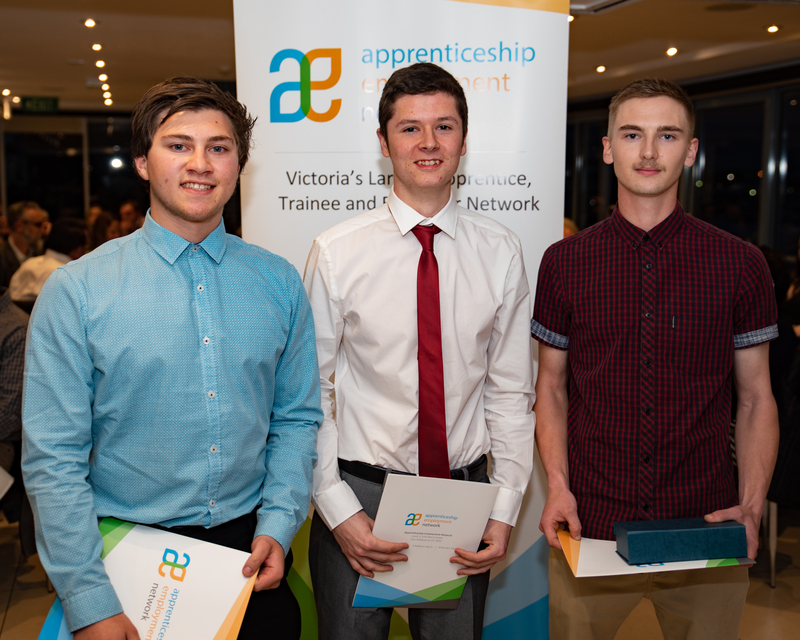 Through Gforce Employment Solutions, Brody commenced his apprenticeship in March 2018 , and since his first day, he has embraced his host employer, Parks Victoria’s Safety-First culture and has demonstrated on many occasions that safety is his number one priority in all work he completes within the workplace. Brody has created his own personal safety bag and ensures each morning that his PPE safety bag is ready to go with him. His safety bag includes safety glasses, gloves, ear muffs, safety vest and sunscreen. Not only does Brody ensure he is compliant with the workplace safety procedures, but also ensures others are working in a safe manner also. On three separate occasions during the year, Brody maturely and respectfully called out unsafe behaviour and reported to a manager. Brody has taken on responsibilities to ensure Werribee Park’s work-centre health and well-being notice board is regularly checked and kept up to day. Brody ensures all information is accurate by regularly downloading safety information and reports. In a short time, Brody has changed the attitudes of many of his peers by setting and leading an excellent safety culture. As a first year apprentice, accepting responsibility as an OHS Representative is quite an achievement. Brody facilitates OHS meetings and has demonstrated exceptional leadership by ensuring staff remain focused on issues raised and discussed. Brody is 100% committed to ensuring a safer workplace for all.